There are currently 3,330 users on this website. 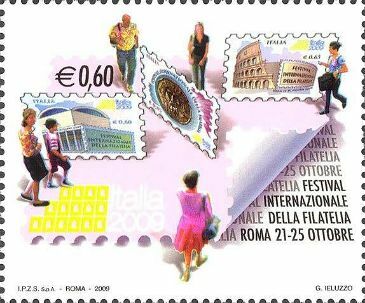 For the International Philatelic Meeting in Rome in 2009. The souvenir sheet reproduces the first definitive issue and the Austrian stamp with manual UKR overprint. The Faroe Islands' 2014 set of 4 computer-vended stamps depicts issues from the 1980s and '90s. 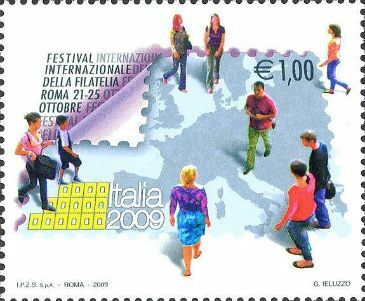 Also shown is a stamp from the 2015 set depicting provisional issues. 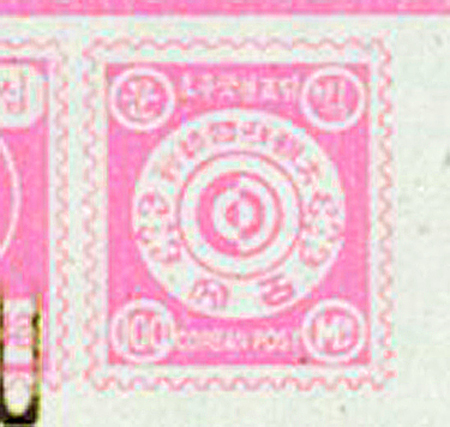 The design shows the 1881 Resplendent quetzal stamps. 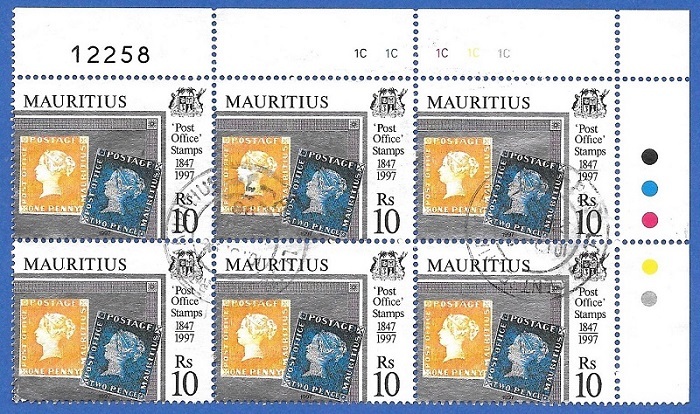 The stamp set features Queen Victoria stamp (1891), King Edward VII stamp (1910), King George V stamp (1913), King Edward VIII stamp (1936), King George VI stamp (1940), and Queen Elizabeth II stamp (1953). Ecuador 1985. 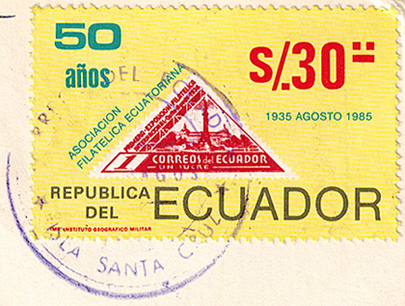 This stamp commemorates the 50th anniversary of the Philatelic Association of Ecuador. It is postmarked Isla Santa Cruz, one of the Galapagos Islands. 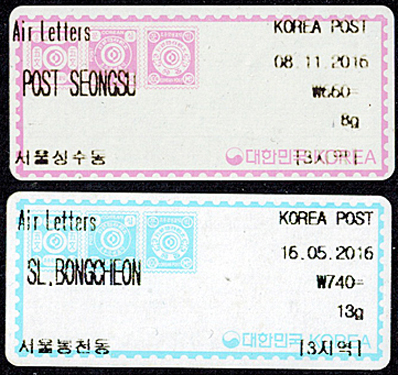 These recent meter labels from the Republic of Korea contain background designs which look very much like the unissued Korean stamps shown in the Scott catalog after #s 1 and 2. 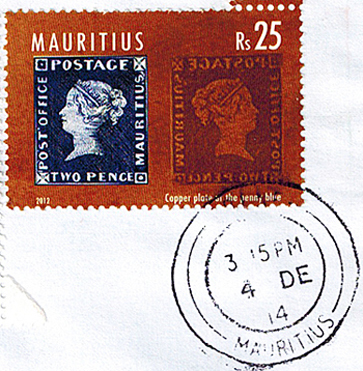 This 2012 issue of Mauritius depicts the two pence blue and the copper plate from which it was printed. 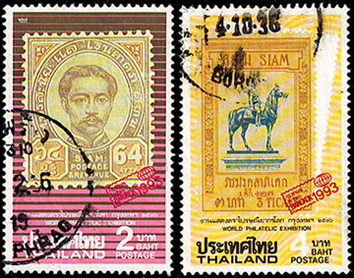 Here are two stamps from Thailand promoting the 1993 World Philatelic Exhibition in Bangkok. 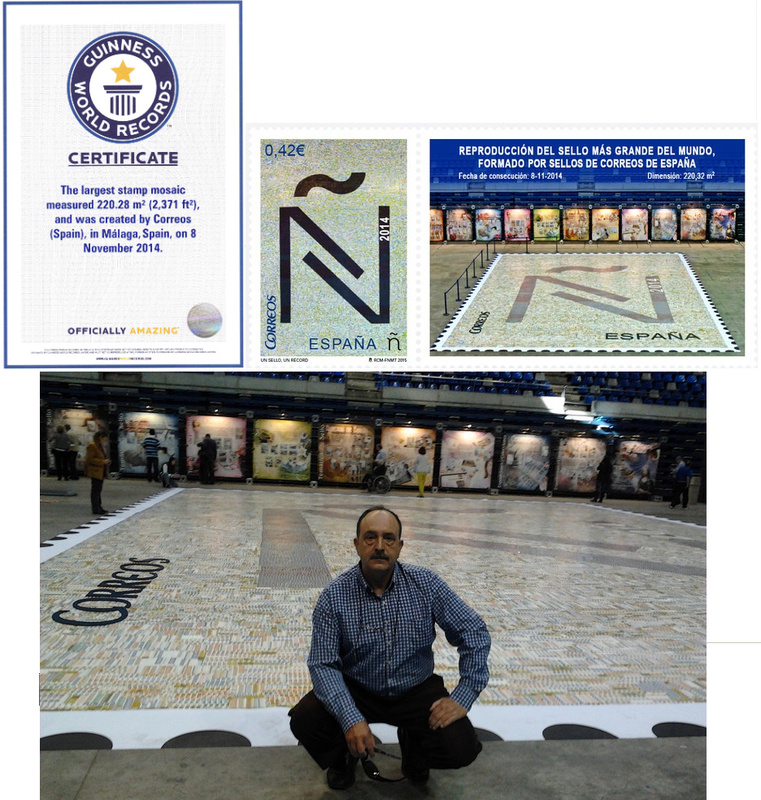 It took 0.96 seconds to lick this stamp.